A recent study reveals that a 70-year-old malaria drug is capable of blocking immune cells in the liver allowing the arrival of nanoparticles at their intended tumor site, thus overcoming a major obstacle of targeted drug delivery, according to a team of researchers headed by Houston Methodist. Numerous cancer patients fail to respond to chemotherapies since the drugs never reach the cancer cells. Even in nanomedicine, considered to be one of the best recent methods for delivering drugs to a tumor, only about 1% of a dose of nanoparticles is successfully able to arrive at the intended tumor site, while the remaining nanoparticles are filtered out by the immune cells of the spleen and liver. 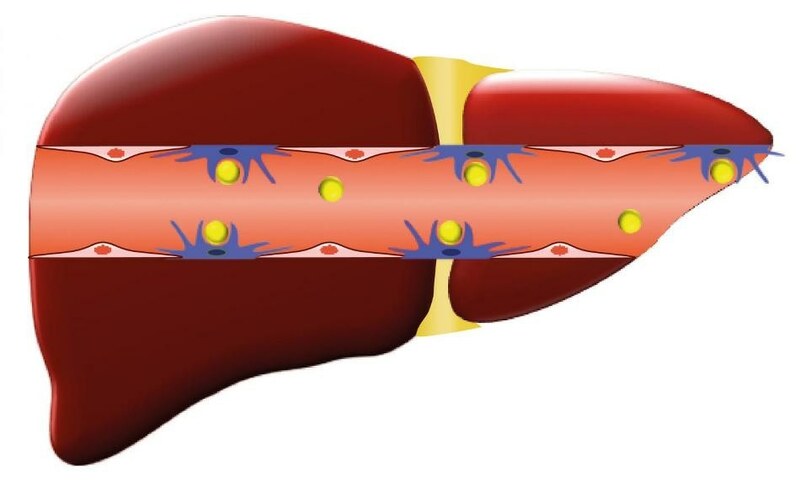 By using chloroquine, the researchers were able to increase the circulation of nanoparticles in the body, and also reduce the body’s filtration of nanoparticles, alongside improving drug delivery to breast tumors. The study was published in Scientific Reports, a research journal from the Nature Publishing Group. Headed by Mauro Ferrari, Ph.D., president and CEO of the Houston Methodist Research Institute, and Joy Wolfram, Ph.D. (presently at Mayo Clinic’s campus in Jacksonville, Florida), the research demonstrated that chloroquine interfered with immune cells known as macrophages, which are employed by the body in order to identify microscopic foreign objects and then destroy them. Mice models, in this study, received injections of chloroquine, which was followed by an injection of nanoparticles. Chloroquine reduced the macrophages’ potential to clean up the nanoparticles. The findings are vital since the nanoparticles not only stayed in circulation, but accumulated in mouse tumors, and also in the lungs of healthy mice, indicating that the approach may also improve the treatment for lung diseases. In the 1940s, chloroquine was invented for the prevention and treatment of malaria. Since it slightly suppresses the immune system, the drug is also utilised in a few autoimmune disorders, such as lupus and rheumatoid arthritis. In addition to this research, the drug is also being analyzed in other cancers, such as pancreatic cancer and triple-negative breast cancer. According to Ferrari, one of the founders of nanomedicine and transport oncophysics (the physics of mass transport within a cancer lesion), clinicians and researchers need to comprehend the limitations of transport mechanisms in order to identify effective immunotherapy treatments for patients. The research received funds from the Houston Methodist Research Institute, the Ernest Cockrell Jr. Distinguished Endowed Chair, the U.S. Department of Defense (W81XWH-09-1-0212, W81XWH-12-1-0414), the National Institutes of Health (U54CA143837, U54CA151668, U54CA210181), Nylands nation Finland, Victoriastiftelsen Finland, and the Cancer Prevention Research Institute of Texas (RP121071). The other authors of the study are S. Nizzero, H. Liu, F. Li, G. Zhang, Z. Li, H. Shen, and E. Blanco (Houston Methodist Research Institute, Houston, TX).